I'm back after a lot of exams . *Thanks for it gagep931. I am going to download it. Thanks a million. Playing the demo.... , wow a nice game . Thanks for a beautiful game freako. Here's a nifty fake magazine advertisement I created! Also, I just played through the demo, and its pretty fun. You succeeded in keeping a standard Pokemon feel to it, although I think some places were a little too noticeable as the areas you changed them from. Maybe that's just because when I play a complete transformation hack, I always play a game of "Let's see if I can guess what this used to be" and so I was trying harder to find those things. I did notice a couple of bugs, though. For example, the flight data is often wrong, causing you to not land in front of a Pokemon Center when you die (although I didn't notice any problems with getting stuck because of that). I also noticed a bug where certain maps show up as being in their original places on the Town Map, just an oversight when you edited the header of course. For example in Azalea Russet Town, the Name Rater shows up as being in Peel City, and there might be a few others but I only remember that one. All said, it was fun and I enjoyed the demo. Looking forward to seeing more from this. I really admire the "fake" marketing around this (the Youtube trailer, the game cartridge screenshots, website, and now this). Can't wait to update my ROM file for the final version! I always enjoy making authentic things to advertise my projects. I still have a 90s style commercial (transferred to VHS and then worn out) to make for it. Yeap, I did my best with my capabilities to try and mask events as this is only my first major hack, it gets a bit better onwards, I hope. Thanks for spotting that, I'll re check all the buildings to make sure they're in the right towns. Also the flight data being wrong I was aware of, as I'd designed the maps to not get you stuck when you do fly. Milksy was going to fix those for me I think as I can't do it myself. I could but you could also easily achieve it yourself (unless you want to give the first final version for me or someone else here to play). Haha. I called you Mlksy. My bad, Miksy. When beta testing is done I'll just send it to you for final touch ups. 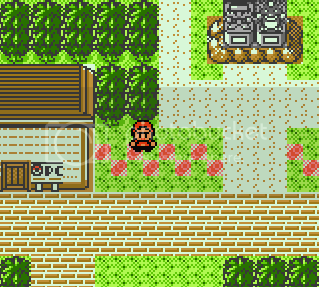 Currently I'm up to the 3rd GYM in my personal final playthrough and I've only had to make a few corrections. So far so good! Everyone who plays the demo I would very much appreciate feedback here. Also, maybe I just missed it, but I couldn't find a link to the optional patch to play as the girl. I had planned on playing through both of them just to double check if there were any other bugs in the alternate version. Also, I liked the idea so much that I decided I would do something similar this December when I release the next update of Pokemon Christmas. I'll have 2 versions that are nearly identical, except in one you play as Kris and the other you play as Hiro. I'll be changing a little more than just the player sprites and names though, but those differences would be mentioned with the release. The girl patch comes out with the finished ROM. It's not compatible with the demo. I'd gladly let you play test a finished beta version before the actual release and you can play through with the girl patch and let me know if anything odd pops up. Cool, thanks. I'll do my best to catch anything. I'll have very little time helping you out until Christmas or so. If Mateo is going to test the hack eventually, he could also do those flying data fixes for you (if feels like it). If there's something more you need help with, let me know and I'll get back to you when I have time to. We'll address it closer to release. Anyway today to fix up the pace of part of the game I added another town to Kohto that uses a different tileset to the rest of the region. It looks pretty cool, although I don't know if I quite like the wall texture on the Pokémon Center. That's a neat way of creating a statue! I've been planning to create one of my own for a long time now (for a very valid reason) and that just gave me some more ideas. I'll agree with Mateo about the "wall texture" there. The type of a wall PC's use in G/S/C would be better if there is nothing special related to this town why you want to have a different type of a wall for it. Freako, I could actually try to help you fix the map locations if you'd like. Also, if you can't manage, I should be able to do that when I test it out if it still needs to be done. I also have at least one Pokemon's stats and movesets need to be changed (as they're a completely different Pokemon now) which I can't do myself, if you're capable of doing that too. Also the wall, I can give it something different if you think it looks off.